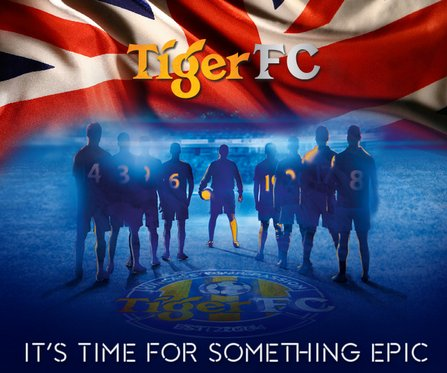 Tiger FC is brewing something epic and something football aficionados will definitely cheer for. So trust us when we say, you would want to be there at Tiger FC’s next Big Away Game this Sunday (Dec 14) when the footie fan club reveals the surprise it has been developing especially for its fans. Discover what the big news is at Tiger FC’s second football screening for the season at Laundry Bar, The Curve at 7pm. The upcoming initiative is in line with Tiger FC’s continuous efforts in bringing its fans game-changing experiences. During its last Big Away Game on Sept 27 at Souled Out, Desa Sri Hartamas, Tiger FC upgraded its conventional football match analysis by sponsoring an innovative digital platform named, Gameday. The mobile web application that operates from any web browser validates how Tiger FC is always at the forefront of advanced technology when it comes to intensifying fans experience. Gameday rewards participants via a simple scoring system when they correctly predict match outcome and answer intermittent football related trivia. Once again, Tiger FC will be rewarding players with premiums including a smartphone, flat screen TV and tablet. Footie fans who missed the last event, can experience Gameday at this Sunday’s match. Selfie-taking loving fans can also test out a slightly tweaked photo booth, called the Cheer Booth. As its name indicates, the camera will only snap a picture when fans cheer loud enough to activate the shutter. The Wi-Fi enabled booth allows participants to log-in with their Facebook account to share the picture on their timeline. Fans will also get a printout copy as a keepsake. Mobile game enthusiasts, who have not tested out Trick Shot Pro — Tiger FC’s second mobile game — will be given the opportunity to give it a shot at the event on Sunday. And like its predecessor Balance Pro, Trick Shot Pro’s Top 10 scorers will also receive a voucher for a bucket of Tiger Beer. The only catch is they are required to bring along three friends or more. All 10 players will win exclusive merchandise from Tiger FC, while the top scorer gets a premium grand prize. This entry was posted in News and tagged football, sports, tiger by TheGoodGoodGuy. Bookmark the permalink.